Internet phone service Skype said Thursday that it will let users of its software make video calls to their Facebook friends and receive them, too. The free feature, released Thursday in a "beta" test version of Skype's software for Macs and PCs, expands on an existing partnership between the companies. Since July, Facebook has allowed users with webcams on their computers to make Skype-powered video calls on the social-networking site. And it had already been possible to chat with your Facebook friends through Skype's instant-messaging feature, though there wasn't yet a video component. Skype lets users make calls, conduct video chats and send instant messages over the Internet. Its basic services are free, while users pay for services such as calling regular phones from a computer. Jonathan Rosenberg, Skype's chief technology strategist, said the company wants to help a billion people communicate, particularly with video. Working with Facebook "is really taking us a big step closer to that goal," he said. Facebook, which is based in Palo Alto, has more than 800 million users worldwide. 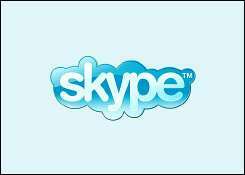 Skype, which is located in Luxembourg, has more than 170 million. Skype was bought by Microsoft Corp. for $8.5 billion earlier this year. Microsoft owns a small stake in Facebook.